Something Different Sunday - Forever Polished and Bubbled! 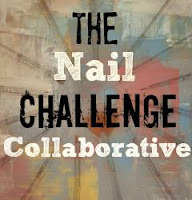 I am so excited to share with you some polish AND some beauty products. Forever Polished is expanding into beauty products, and what was a one-woman show is becoming a mother-daughter team. The beauty line is called Forever Bubbles. Wimmens are doing it for themselves! First up, the polish. I was sent a glitter topper in a clear base: Forever Polished EDC Princess. I wanted you to see it on its own and over a color, so here is Epic Princess on the ring finger, and everything else is Sally Hansen's The Sky's the Limit. And here is EDC Princess over everything. Great formula, loved the application. I think it's pretty. I didn't notice until later that this glitter has some of those very large circle glitters, which are notorious for sinking to the bottom. And mini bottles are also notorious for keeping larger glitters in the bottle and not on the brush. 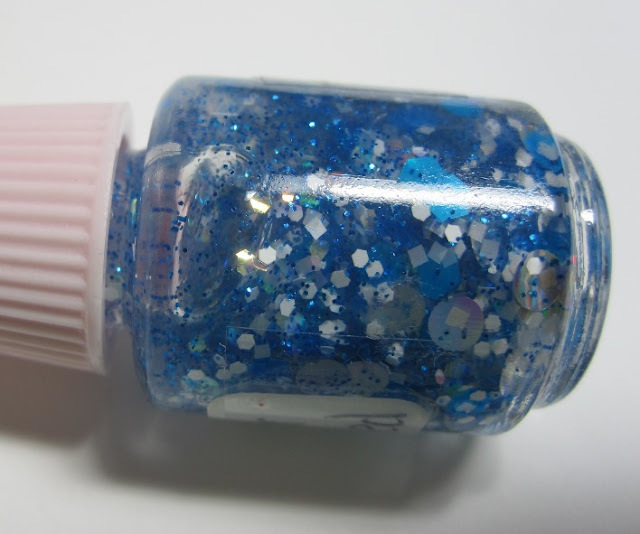 Everything else about this polish was perfection, so I'm going to hypothesize that with a normal full-sized bottle, you'd be able to get the larger glitters out fine. And now, the beauty products. Lots of fun colors, shapes, and smells! 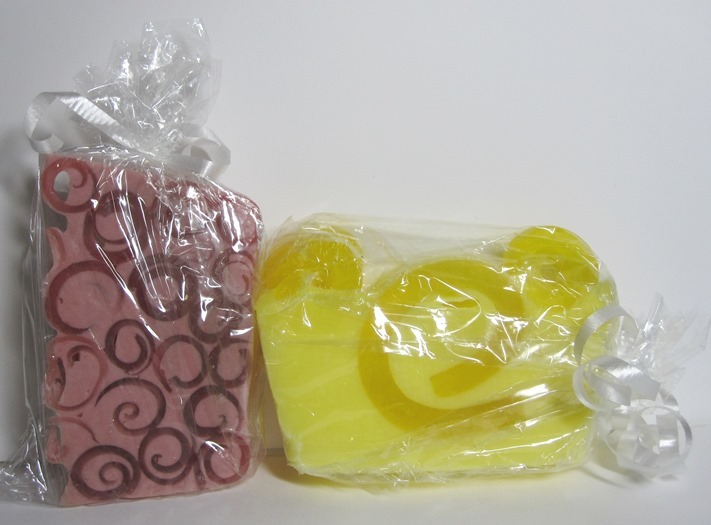 I got two samples of glycerin soap - Twilight Wood and Lemongrass. First of all, these soaps are pretty. I loved the curly-q's in the soap. They smelled nice as soon as I opened the package, and even smelled nice during use. My husband liked the Twilight Wood scent better, but I'm a citrus girl. The lemongrass smells divine. Being glycerin, they don't lather, but hubby and I both agreed that we felt clean and soft after our showers. It's been years since I took a bath. I was excited to see a real bath bomb in my package! The flower is a Bubble Bar, which you crumble under water for bubbles. The bath bomb just fizzes in the water when you drop it in. I used both in the same bath because the bomb doesn't make bubbles! They are both Strawberry scented, so it worked out great. The bubble bar has glycerin, and the bomb has cocoa butter and almond and grapeseed oils, as well as Vitamin E, so I was soooo soft after my bath, and it was very relaxing. I also received some Handmade Honeysuckle Face Cream and some Lavender Cuticle Butter. Of course I swapped positions for the next picture. I'm smart like that. The jar is the face cream. The pop-top is the butter. The face cream was nice and smooth. I didn't have any adverse reactions from it. The smell was so nice, but I will admit that it was a little strong for me for a face cream. I will use it as a hand cream, though. A very luxurious hand cream! 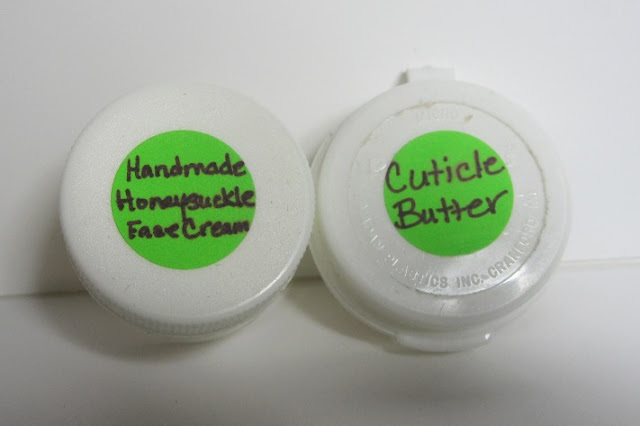 You can see that the cuticle butter (on the right) is a little grainy looking. This is likely from the shea and cocoa butters, which have that texture. They melt right away into your skin and are VERY moisturizing. This is definitely a last-product-for-the day kinda cuticle butter, not one you would use in-between manicures. I will sometimes massage cuticle creams into my husband's hands, and he really liked this one. 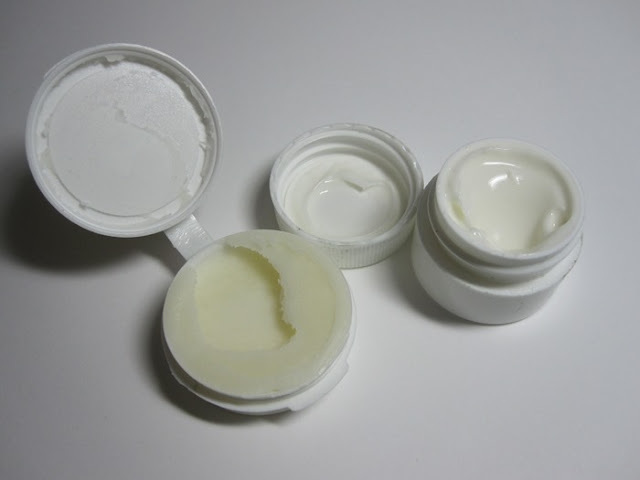 It's very moisturizing, and it allows for a good massage because it doesn't absorb right away. The lavender scent is very light and fresh. Trying these products was like a spa day for me. 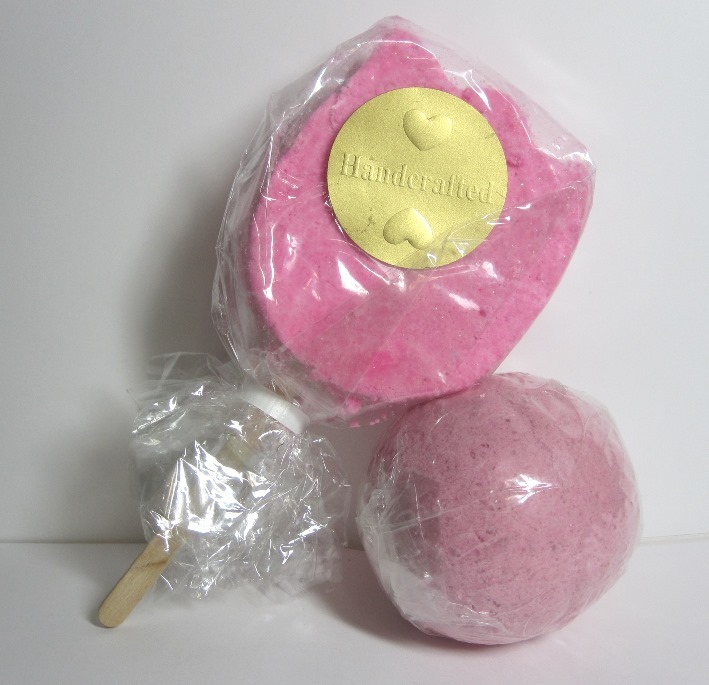 I enjoyed them so much, and I think they are well-made boutique products. You can find Forever Polished and Forever Bubbles on FaceBook, Instagram (@AshleysPolish), and on their Big Cartel store. 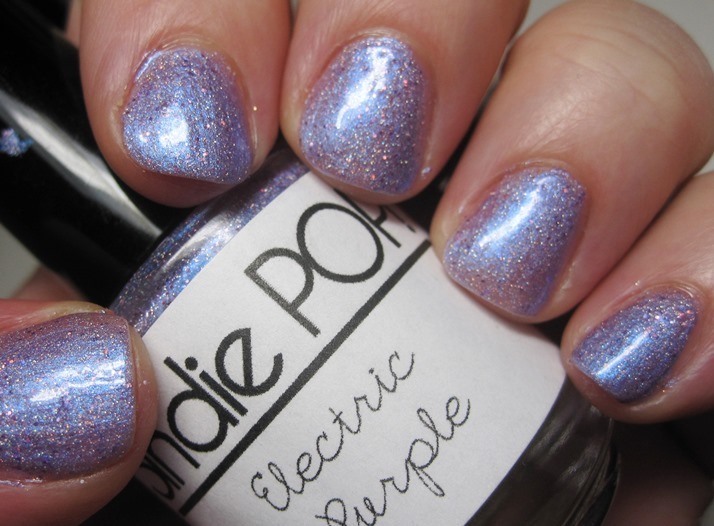 ETA: Oops, the polish name is EDC Princess, not Epic Princess. Not sure what EDC means, but apparently, not 'epic'. My bad! I am always in awe of those people who can translate an idea in their head to something real. I've seen documentaries on movie directors and how they can see 2-dimensional words on a page and turn it into movement and point of view... and it's amazing. Artists who can draw what they envision in their minds baffle and amaze me. I can not do these things, but I keep plugging along! 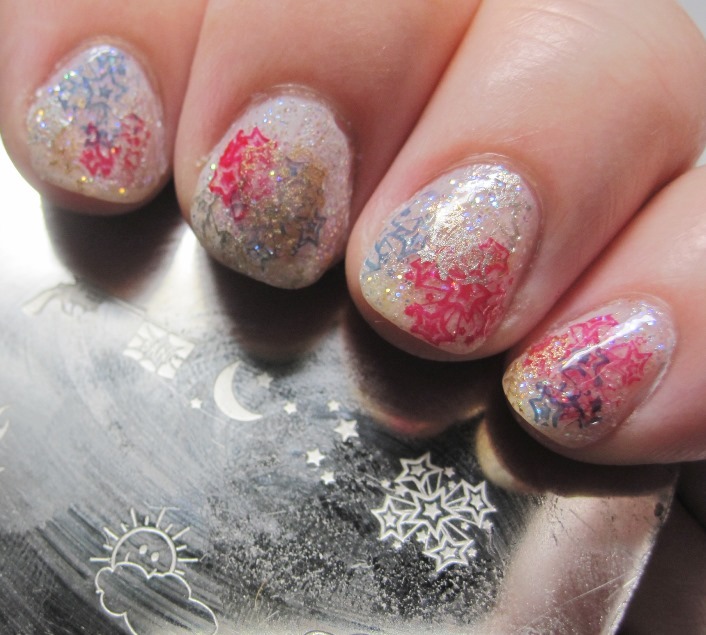 For this stamping mani, I envisioned fireworks at the moment where they have just exploded, and you hear the crackling and fizzing as they disintegrate. What I got was another hot mess. For the sparklies, I started with a wash of sheer white with Savvy French Sheer White and a layer of Julep Vanessa over that. Vanessa was a thick, gloopy mess, even after thinning. Such a beautiful glitter, but what a nightmare formula. I have this stamping plate that has no identifying marks on it, no backing. I have no idea who made it. But I liked this exploding star image. I wanted this to evoke the moment where the fireworks all meld and drip out of the sky. 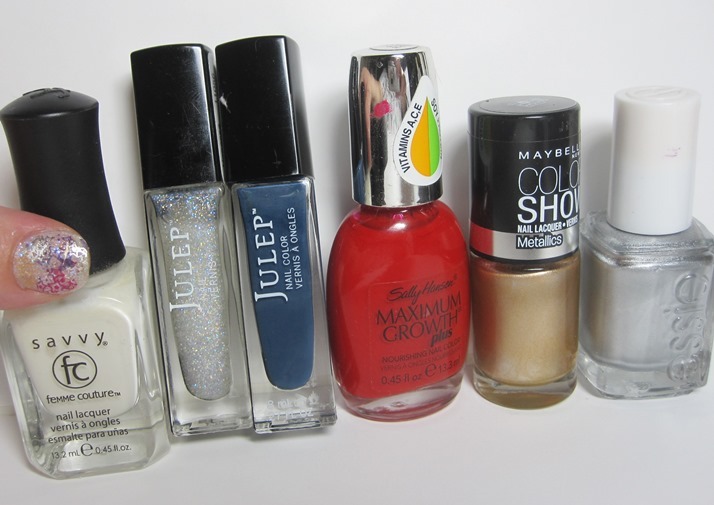 Bottle shot: Savvy French Sheer White, Julep Vanessa, Julep Eloise, Sally Hansen Sacred Scarlet, Maybelline Bold Gold and Essie Nothing Else Metals. Do you understand the mystical process of translating images into reality, or are you more like me, bumbling around with shape and color and hoping some aspect of your mental picture comes to life? 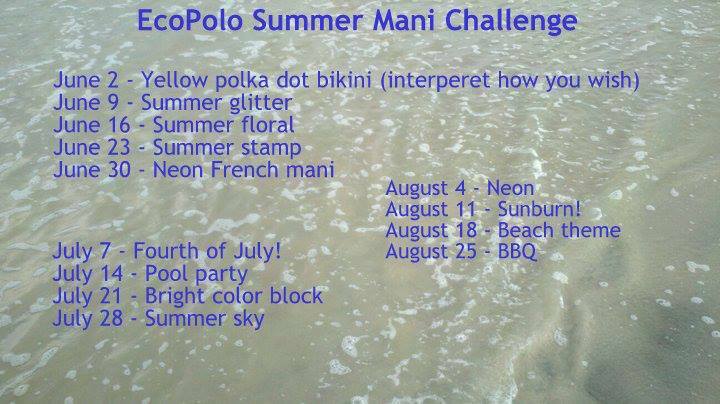 This is the last June combo of Neon and the EcoPolo summer. Next month, I'll have another series of challenges, though! And, I'm sure there will be plenty more Neon this summer! But for now, here's my Neon French Mani. I started with white, then Pink Cookie neon pink with accents of Salon Perfect Shocked. I think the Neon Pink and Shocked look like they were made for each other. 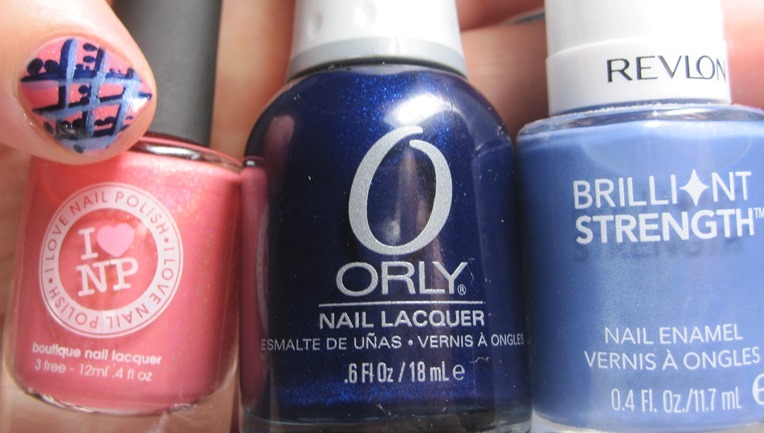 Instead of a traditional French, I decided to pull out the blue and do a funky French with Orly In The Navy. While the traditional white French tip trend may be ending, I think a colored French, or one with nail art over it is here to stay. There are just so many things that you can do with a French tip - even go neon! The Green Fairy at Green Gables? Have I mentioned yet how much I love Anne of Green Gables? The PBS or BBC miniseries, though. I never did get into the books. 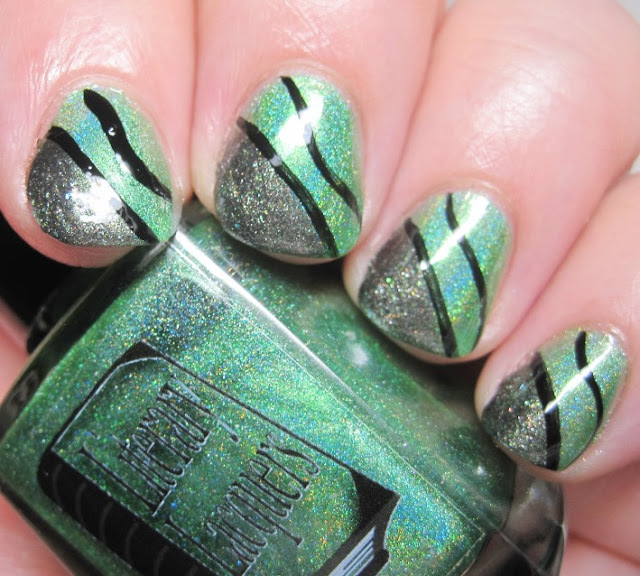 Well, this nail art is based on the holo named for the homestead - Green Gables. 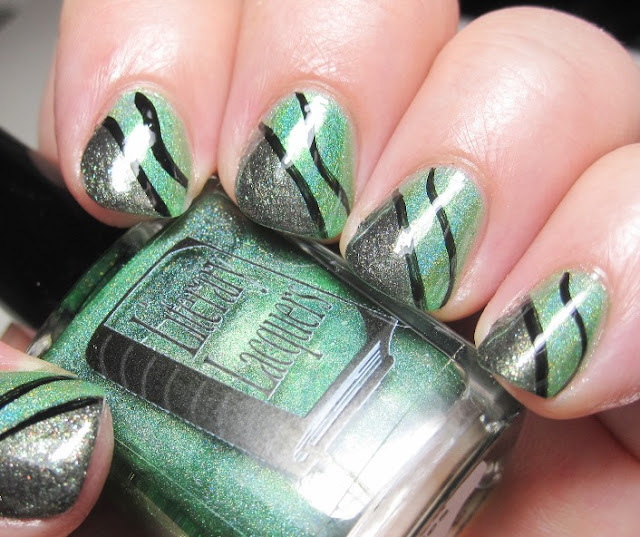 Literary Lacquers Green Gables. Nice linear holo, beautiful blue flash - even some orange in there. This holo is thin, but not sheer. Great application, builds up nicely. No special undies needed, but make sure you don't brush over wet spots, or you'll bald the polish. I found this design on Pinterest that I liked. Unfortunately, the pinned link was to a page that just collected other nail art, so I don't know who the originator is. If you know, please let me know, and I'll amend the pin, and this post. I used SOPI Absinthe Makes The Heart for the glitter in the corner, and outlined with a black striper. I really love a simple, strong nail art like this one! 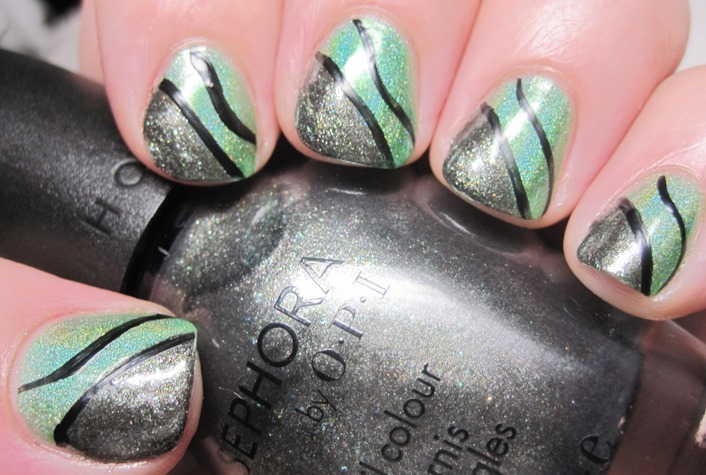 Even though the original nail art was done on long nails, I think this looks great even on nubs. The diagonal line elongates, and the swervy line adds to the illusion. I think this would look great in lots of different color combinations, too, though I'm particular to the Green Fairy at Green Gables! So I picked *A* fave. 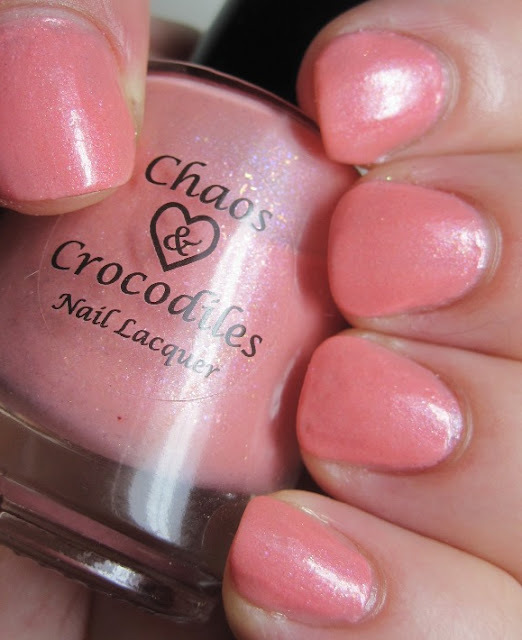 I started with a brand that is new to me - Chaos & Crocodiles. This is Nothing Sweeter, and when it comes to ripe fruit - or this pink polish, I guess that's true! Not too many pinkish fruits, I suppose! 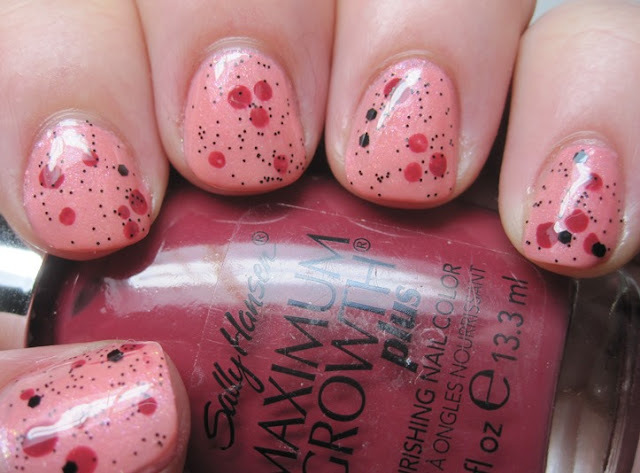 There is usually some red coloring, too, which I emulated with Sally Hansen Beautiful Berry (how apropos) and some black dots, which I made with Nubar Black Polka Dot. Have you guessed what fruit I'm trying to paint? For a regular mani, I would have left it like this. I rather like it! 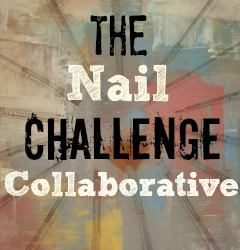 But, this is a challenge mani, and I had to go the distance. So I cut some fimo slices. 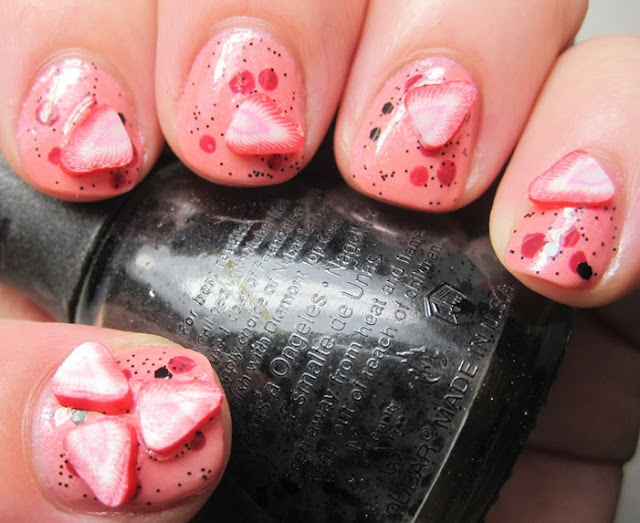 When I showed this mani to my hubby and asked him to guess the fruit, he said, 'Watermelon?' smh. Yes, dear. Because watermelon looks exactly like strawberries. This is one of the reasons we do the grocery shopping together. I should tell you that this man has a Ph.D. Bottle shot! 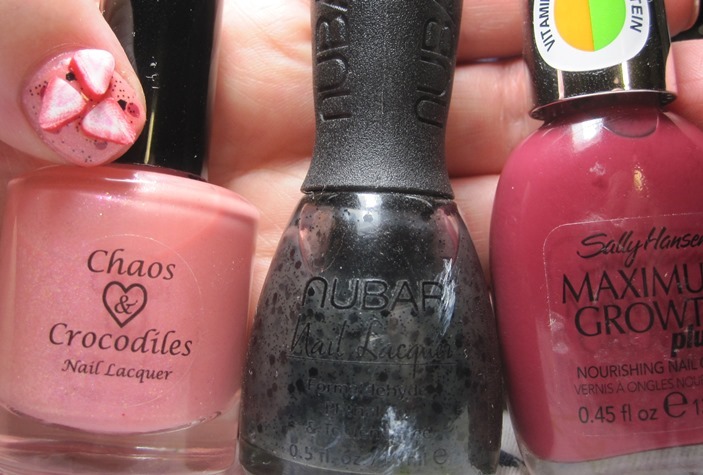 Chaos & Crocodiles Nothing Sweeter, Nubar Black Polka Dot, and Sally Hansen Beautiful Berry. 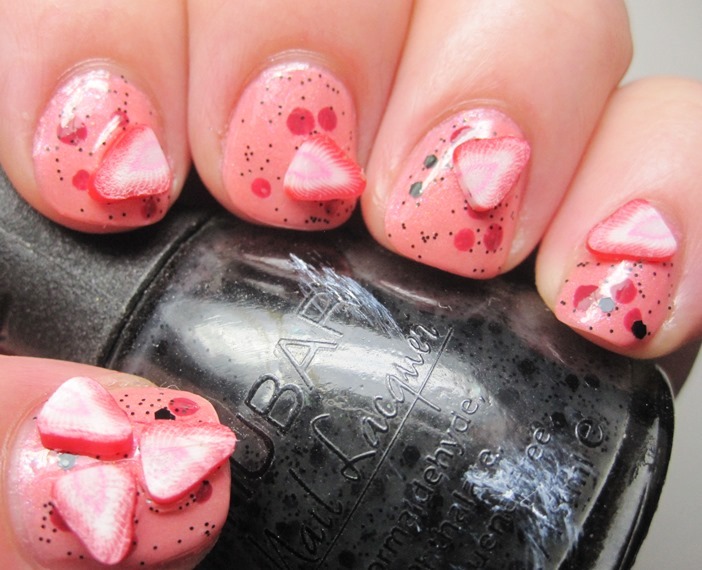 Have you done a fruit mani? Do my strawberries look like watermelons?! I love Indie polishes. I tend to collect the same (or similar! Similar!) colors a lot, so I picked 4 purple ones and decided to see if they were anything alike. Trust me - you can rarely tell everything about an Indie polish just by looking at the bottle. I have been fooled many, many times. Whooz Polish Tutu. 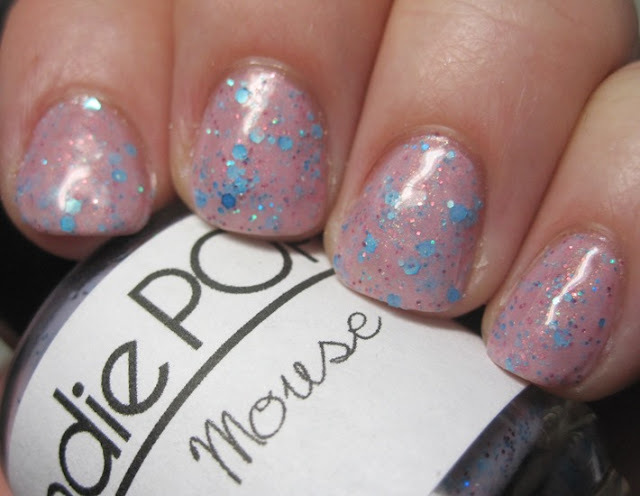 I reviewed some other Whooz polishes back in January, and I had bought this one at the same time, but it hid in a corner of my untried drawer and I didn't realize it didn't make it into the review! Lots of sparkly holo and blue and pink glitters in a squishy jelly purple base. It's a little sheer, but I don't know if I'd layer this one because then you lose some of the jelly quality. As of now, I'm not sure of the fate of Whooz polish, as their Facebook page seems to be gone, and their Etsy shop is on vacation. Hopefully, they'll be back! 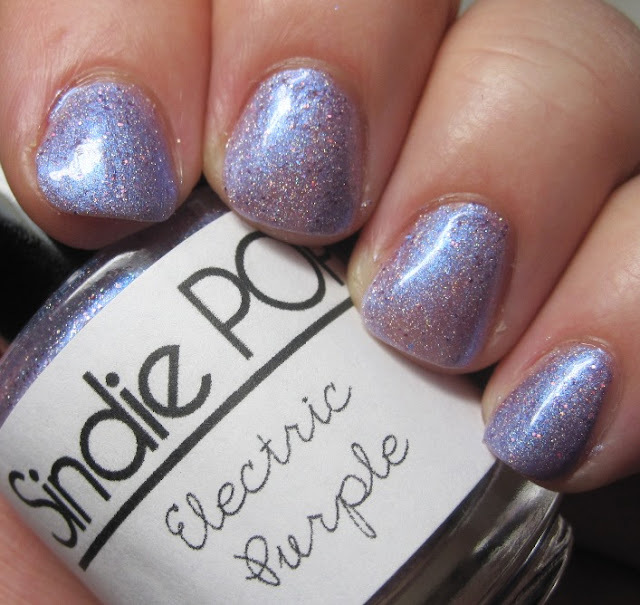 Sindie Pop Electric Purple. I don't hear a lot about this Indie, but I should. Every one of their polishes that I've tried has been amazing. I had no idea that this polish would have that blue shimmer that really does make this polish look Electric! Application was so smooth, too. I'm in love with this purple! Before I tell you where to find it, let me show you another Sindie Pop. This is Mrs. Mouse. But, you're thinking, this isn't purple? If you can see the bottle, it looks lavender in the bottle! It only looks pink on the nail. Very sneaky! Fun glitter, though. Everything applied nicely - no fishing or dabbing with the glitters. I like the larger blue and the smaller pink and blue glitters together. You can find Sindie Pop on Facebook and her webshop. 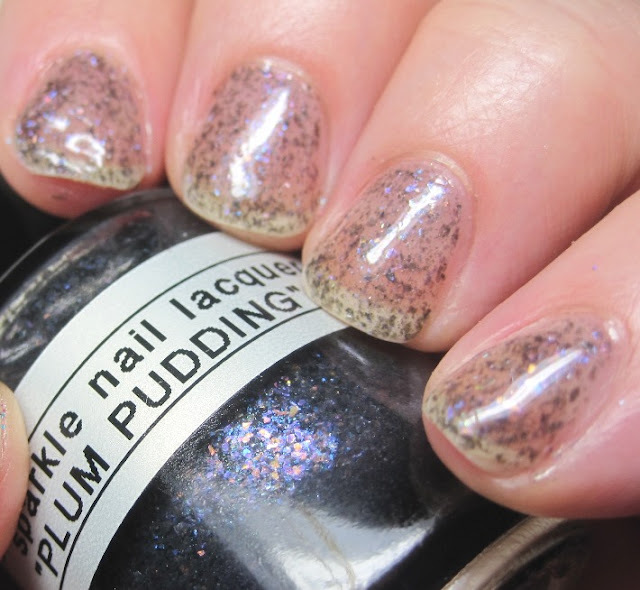 Sparkle Nail Lacquer Plum Pudding has a clear base! Fooled me, again. I tried to make it opaque, but I just made it lumpy. This one definitely needs undies if you're looking for a solid color. I do love the flakie quality, though! Peeking through the blackened glitter are some really pretty iridescent purples. I don't even know what color I'd use as undies to compliment all the glitters here! 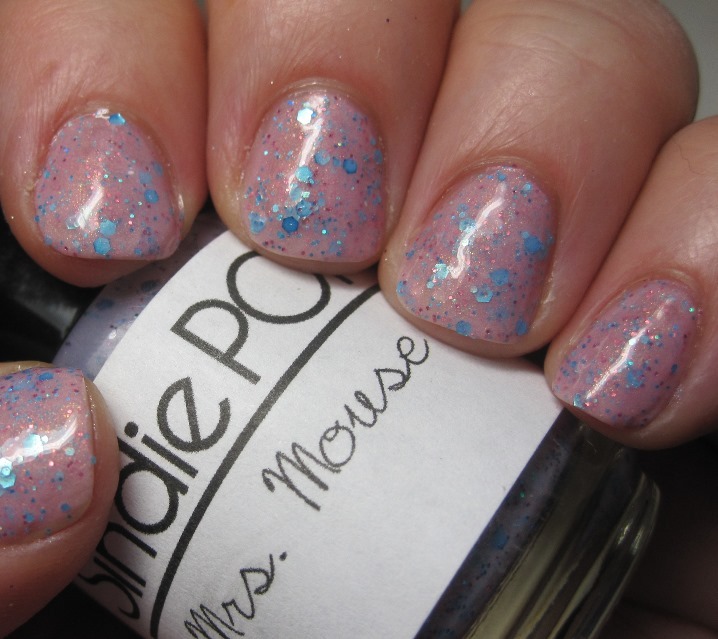 You can find Sparkle Nail Lacquer on Facebook and Etsy. Ready to rock some purple? What's your style? Let's go back..back..back in time to last week, when I was supposed to do a 3-D mani instead of the neon one I did. 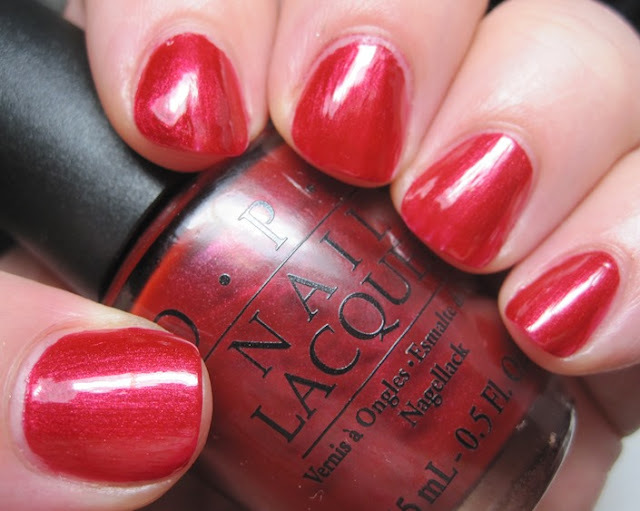 This is a polish that I've wanted to try for a long time, but just hadn't found a good price for a bottle of it. It's OPI I'm Not Really A Waitress. 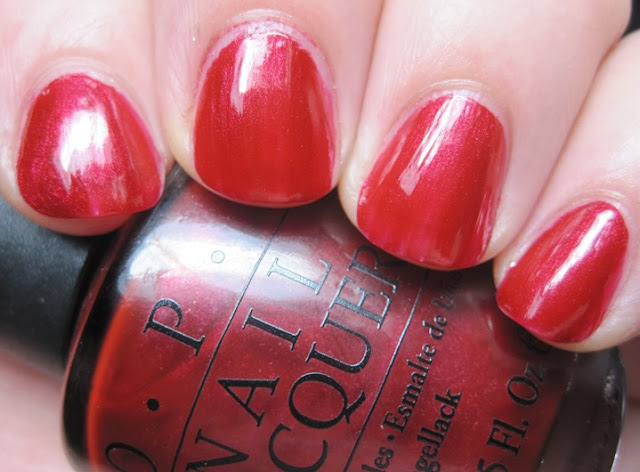 My fave OPI Red is SoHo Nice To Meet You (one of the few bottles I've almost finished!) and this is pretty close, though not a dupe for it. For my 3-D effect, I decided to use tiny black studs on a rounded diagonal. I think the studs came from Born Pretty Store. I love how this came out - a little pretty, and a little badass. These were not easy for me to work with! A lot of them were stuck together, and, even after getting them apart, they wanted to stick to the dotting tool I used to apply them, and not my nail. I'd do it again, though. 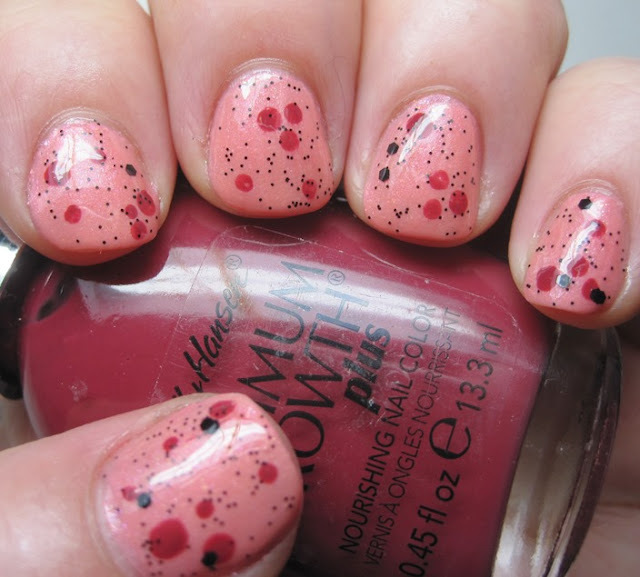 It's probably easier to just use polish and a dotting tool, but these are pretty cool looking. 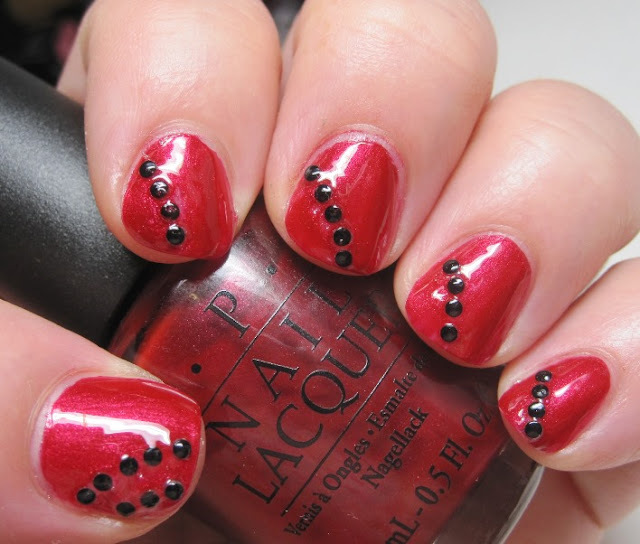 Would you go through the trouble of positioning studs, or just use a dotting tool and black polish? I have such a huge shopping problem when it comes to holos. Even though it says *subtle* right there, I still get suckered in by a bright picture, or an enthusiastic blogger. Not that this isn't a beautiful color. 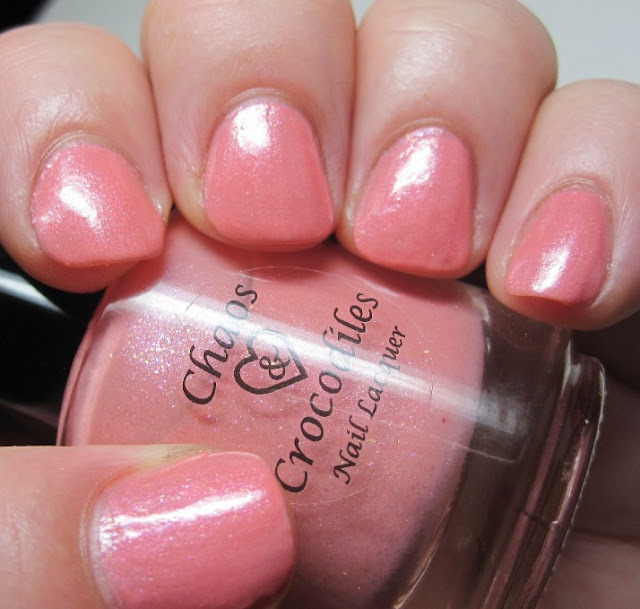 I Love Nail Polish in Grande Sunset. Beautiful coral-leaning pink. The color alone is worth it to have in my collection. You can always tell when I make up a design instead of looking at others' art for inspiration. This is a hot mess. But, it's *my* hot mess, so you get to see it anyway. The dark blue is Orly In the Navy, a gorgeous navy polish. I love Orly formulas. They are always perfection. The light blue is Revlon Intrigue from the Brilliant Strength collection. I'm 'intrigued' by this line of Revlon, and I want to get more! So pretty, and I love how the shimmer highlights the design. Bottle shot: I Love Nail Polish Grande Sunset, Orly In The Navy, and Revlon Intrigue. 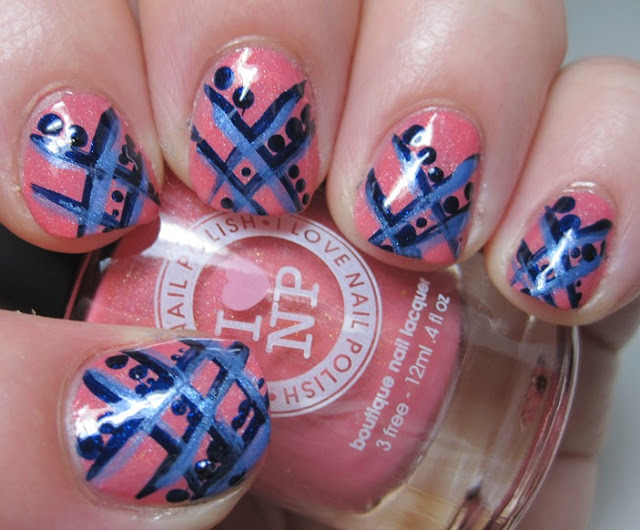 Are you loud and proud with your nail fails? Are you good at coming up with designs, or do you look to others for inspiration, as I do? 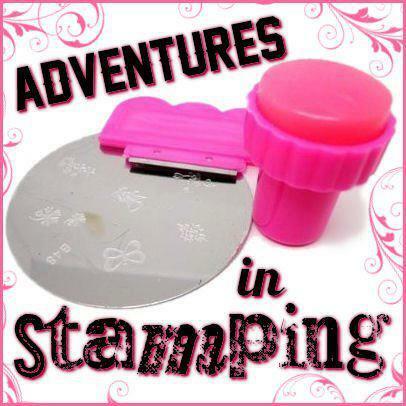 Sunday Stamping - Take Me Back to the 70's! 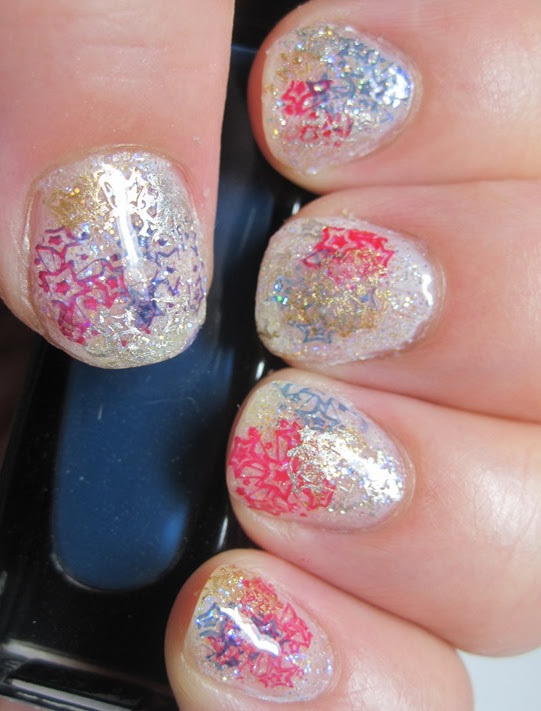 Guest Post - Southern Sparkle Nail Art! Something Different Sunday - Best Blog Award!